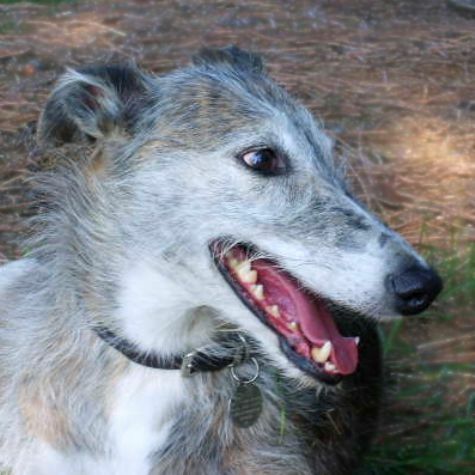 Sage is a Lurcher, which is a crossbreed between a Scottish Deerhound and a Greyhound. This combination gives her speed, sturdiness, and a lovely rough coat. Sage loves to run and chase rabbits. She is very fast, for short periods of time. Then she is ready to sleep! Sage loves to be petted and prefers her visits at CHLA to include a quick rest on the children�s beds. She has a well-deserved reputation as a �leaner� because she loves to lean on people and make each person feel special.